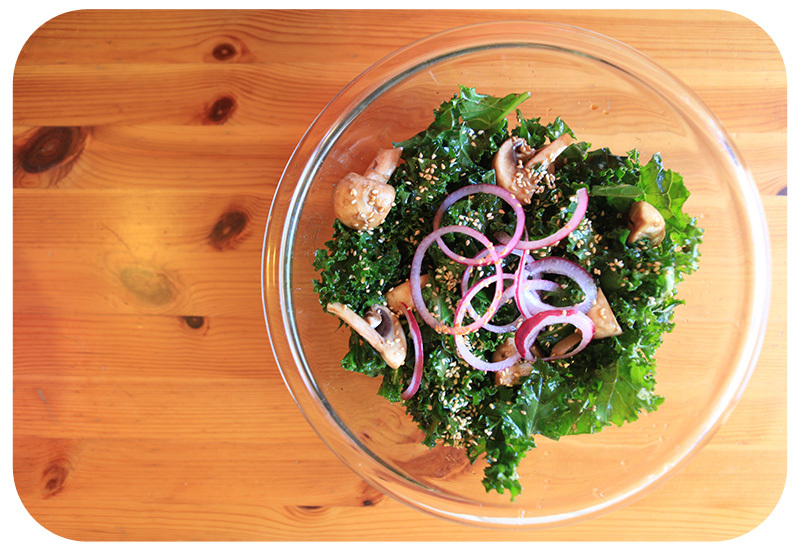 Several variations of this Sesame Kale Salad, which is made ahead so the kale can marinate in a sour combination of lemon juice, soy sauce and sesame oil, have been appearing on our table for quite some time now. I love kale because it keeps longer than salad greens, and this salad is good for two (even three) days after you make it. The flavor keeps improving as it marinates. It’s no secret that kale is super healthy and the great part about adding this item to your Thanksgiving menu is that you can make it a day ahead. I also feel that this salad travels well and is best enjoyed at room temperature so it is a great item to take if you’re in charge of bringing a side dish. Your hostess will love you for bringing something that doesn’t need to be warmed up in her already crowded oven. 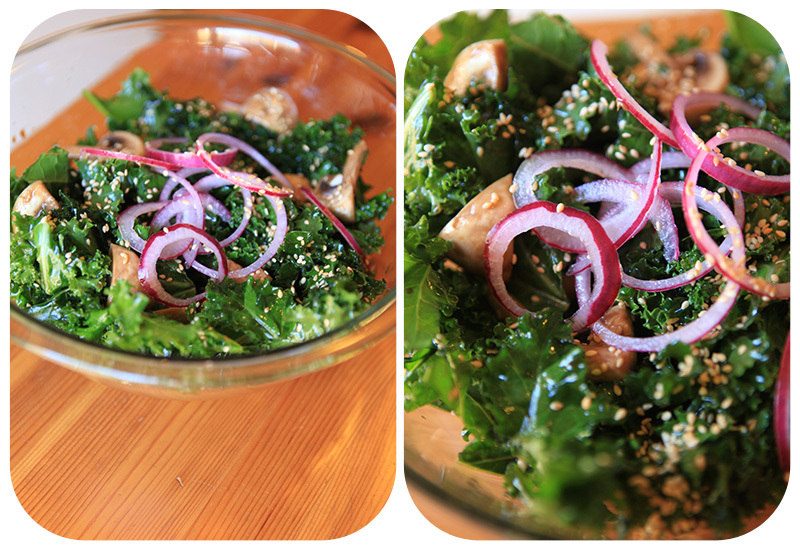 Toss kale and mushrooms in a large bowl with dressing. Cover and leave out for 1 hour if serving today or refrigerate overnight. Note: You can use raw purple onions sliced paper thin instead of pickled, but in this case go ahead and add onions to the kale and mushrooms while salad is marinating. I try to keep these pickled purple onions in my refrigerator in a jar for salads, slaws and as a side to any Mexican food dish. They are delicious. Absolutely delicious!! I make this every week and everyone in my family absolutely loves it!! Thanks for sharing.